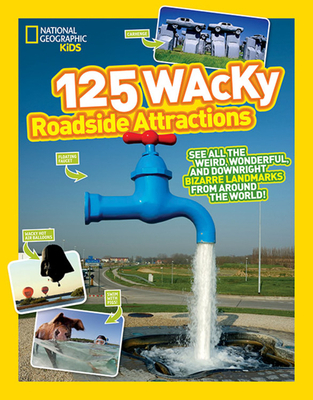 National Geographic Children's Books, 9781426324079, 112pp. Going on a road trip? See the silly side of travel as you explore the wackiest landmarks from around the world -- a place where you can walk in real dinosaur tracks, a hotel where you sleep in an igloo, a crazy beard festival, a UFO museum, and so much more. You won't believe our world is full of so many bizarre and wonderful places!